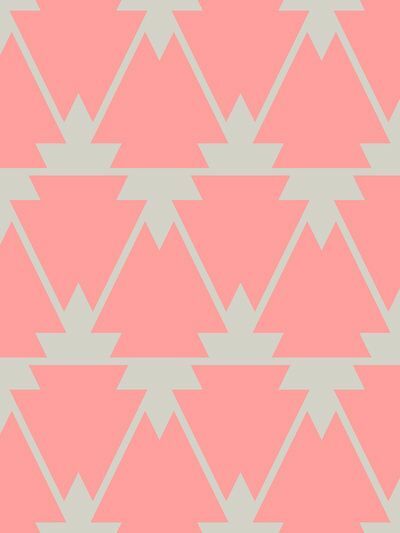 Here’s a fun pattern that mixes geometrical, clean shapes with tribal elements. It’s a bit tricky to the eyes, but not at all tricky to crochet. Graphed in black and white, it has a classic yet modern feel.. but at the same time, the simplicity of the pattern lends itself to fun color combinations. Take the original version, for example. In pink and beige, it gives off a girly, casual vibe. Thinking of giving this pattern a try? If so, what colors would you use? And what would you make with it (a purse, pillow, laptop cover, etc.)? Let me know in the comments below, or head over to the All Tapestry Crochet Facebook page and share your plans with me and your fellow tapestry crocheters 🙂 And as always, if you have any questions please do not hesitate to ask! Happy crocheting! Thx for your sharing video for the base. After making the base, how to continue with the bag body? Do u have video for the bag body? Is the base strong enough to hold when load with stuff? Will it sagging down? Hi Grace, I know I answered your first question on Facebook, but let me answer your other questions too 🙂 I don’t have a video yet for the body of the bag, and I might make one eventually, but since it would require me to require so much detail, the video would be far too long to post on YouTube. But like I said earlier on Facebook, I’ll probably make a video about how to read a tapestry crochet pattern so that you can do any pattern you’d like! The base should be strong enough to hold many things, especially if you crochet each stitch very tightly. It will probably sag a little bit with heavier items, but the tighter you crochet the stitches, the less it will sag down. Thx Rebecca for your prompt reply. You are so helpful and kind. Rebecca, thank you so much. I will watch your video and let you know if I have questions. You’re a love! An articulate love!